This is a gorgeous site of many old botanical prints that I came across by accident. Of course the first thing I keyed in was the durian. The main site , Biodiversity Heritage Library has more than beautiful illustrations. 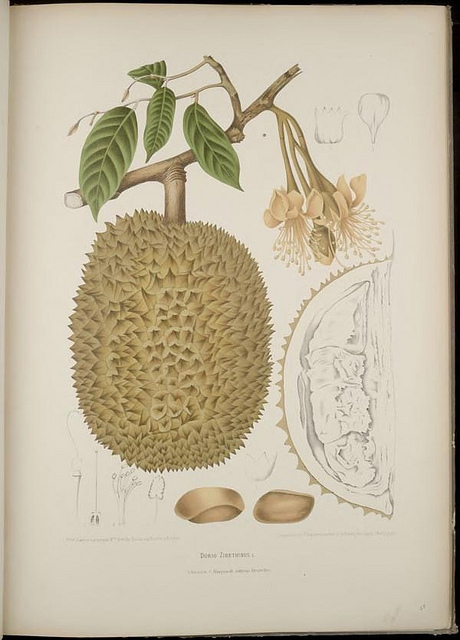 I found an article on the lychee and the longan (spelled lungan). Page 15 talks about the names for the longan. The names sound distinctively Cantonese. Cool!